When the Royal Pharmaceutical Society was first founded in 1841, like many professional organisations from that era, it diverted some of its income to a benevolent fund to support pharmacists and their families through times of hardship. Back then with no state benefit system in place a drop in income brought about through illness or death, a lack of work or a failing business was a real concern for many professionals. The social stigma attached to the work house encouraged many professions at that time to set up benevolent funds, creating a charitable structure within the professional world that still exists today. Things have moved on a great deal since those days and almost 175 years on The Benevolent Fund of the RPSGB has undergone many changes too. The organisation officially registered as a charity in 1963, launched two new services – the Health Support Programme in 1993 and Listening Friends stress helpline in 1996, recruited its own independent board of Trustees in 2006 and relaunched as Pharmacist Support in 2008. The relaunch not only saw a fresh new look and new name for the charity it also brought about further expansion of its free and confidential support. Responses to an online survey of pharmacists and a series of focus groups led to the introduction of an information and enquiry service and specialist advice service -covering debt, benefits and employment advice. This was followed in 2014 by the launch of the Wardley wellbeing service and national student bursary scheme. In the six years since relaunch Pharmacist Support has seen a significant growth in the number of pharmacists and their families, former pharmacists, pre-registration trainees and pharmacy students approaching it for assistance. During this period the charity has provided over 7000 individual acts of support – these have included 3000 information and enquiry cases, 2000 listening friends calls to those struggling with a range of stressful situations, over 180 addiction cases and 700 referrals to our specialist advisers for assistance with debt, benefits and employment law. In financial terms this support has also included the distribution of over a million pounds in financial assistance and over 8 million pounds’ worth of gains secured for service users via state benefits, debt rescheduling, consolidation or write off and pay entitlements from employers. 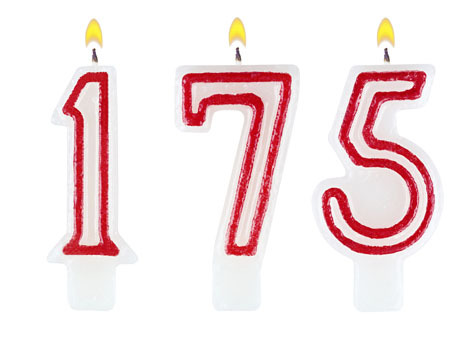 2016 marks a significant milestone for the charity that, 175 years on, continues to respond to the needs of pharmacists today and to provide relevant and effective support to those in the profession. As a charity Pharmacist Support relies on the generosity of pharmacists and pharmacy organisations to be able to continue our work – be that as donors or fundraisers, volunteers or supporters. To keep up to date on charity news and activities, sign up to receive the Pharmacist Support bi-monthly e-news here. To find out about the ways you can support our work or make a donation click here.